While it seems like this election has been dragging on forever, there is indeed a final deadline in sight. There are only a few weeks left until the general election on Nov. 8. You've probably noticed the barrage of advertisements and campaigns the last few weeks encouraging you to register to vote before the registration ends, but it might not be clear just when that is. 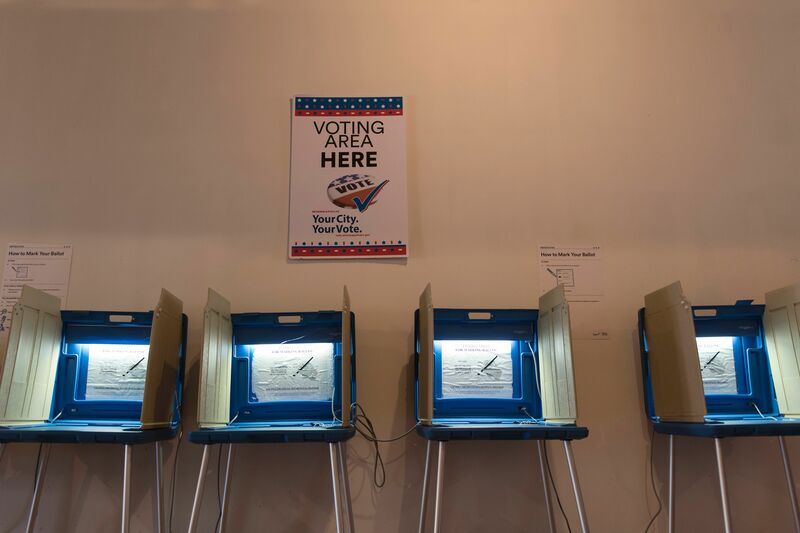 You may be wondering: Does my state have same-day voter registration? Luckily, for those who are either procrastinators or really busy, there are some states where you can register and vote on Super Tuesday. In fact, currently 13 states and the District of Columbia offer the service, including Colorado, Connecticut, Idaho, Illinois, Iowa, Maine, Minnesota, Montana, New Hampshire, Wisconsin, and Wyoming. According to the National Conference of State Legislatures, a few more states will offer same-day registration in the future. If you live in Hawaii, after 2018, you'll be able to take advantage of the method, and Vermont will make it available starting in 2017. Same-day registration is contentious for a few reasons. Some believe it can lead to voter fraud because they say it's harder to prove residency on the day of the election. But others argue that it increases voter turnout. According to an editorial in The New York Times, same-day registration could increase voter turnout by 3 percent. Part of the issue with turnout is that some states' voter registration laws make it hard for citizens to vote. According to PBS, states that require photo IDs to vote see a decreased turnout. Though some claim that the picture ID is necessary so as to decrease voter fraud, it's more likely that it's just shortchanging legal citizens from being able to vote rather than helping others rig the system. While it's not a great idea to rely on same-day voter registration, it may be comforting for some people in certain states to know that they do in fact still have time to get their vote in. If you can register ahead of time, it's helpful to do it. But if not, same-day is fine, too (well in the 13 states that allow it). Voting is an important opportunity and should be taken seriously, especially in an election where one candidate feels the need to constantly insult people. So if you live in a state where you can register and vote on Nov. 8, take advantage of it because your voice shouldn't go unheard.